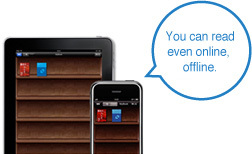 You can enjoy reading the magazine via smartphone or iPad by installing the e-bookshelf app “MPV viewer”. Please follow the instructions below to install “MPV viewer” to your device. Access App Store or Google Play and install “MPV Viewer” (free). Start the app and enter “karuizawa” into the company search screen. 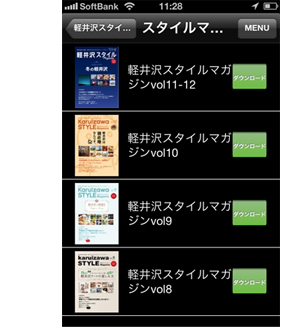 The magazine list will be displayed; tap the one you want to read. Off-line viewing possible by downloading the contents.